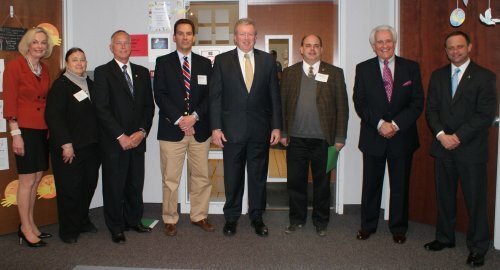 Legislators from Northwestern Pennsylvania toured the Elizabeth Lee Black School on Thursday, April 29. They visited several classrooms where students we proud to show off all that they are learning! Pam Green (representing Rep. Michele Brooks), Rep. Curt Sonney, Rep. Parke Wentling, Rep. Brad Roae, Rep. Flo Fabrizio and Sen. Sean Wiley. The group included Sen. Sean Wiley, Rep. Flo Fabrizio, Rep. Brad Roae, Rep. Curt Sonney, Rep. Parke Wentling and Pam Green in attendance for Rep. Michele Brooks. Special appreciation to our legislators for their support.